This Robot is built by me. 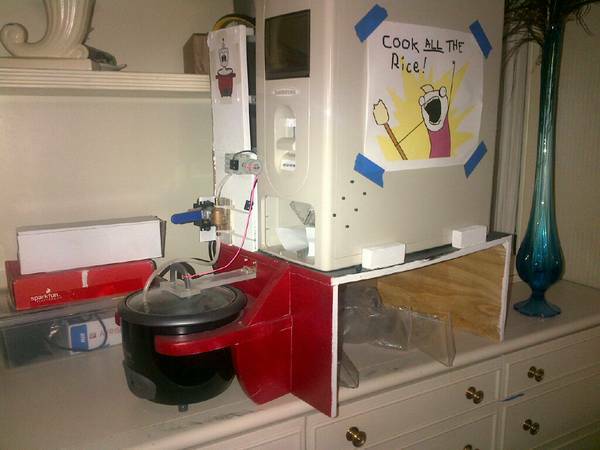 You send a tweet to the Robot and it cooks rice accordingly. It will tweet you back when rice is ready. Those who are interested in it as an experimental project or want to do enhancement, take it for free from me. See Pics.